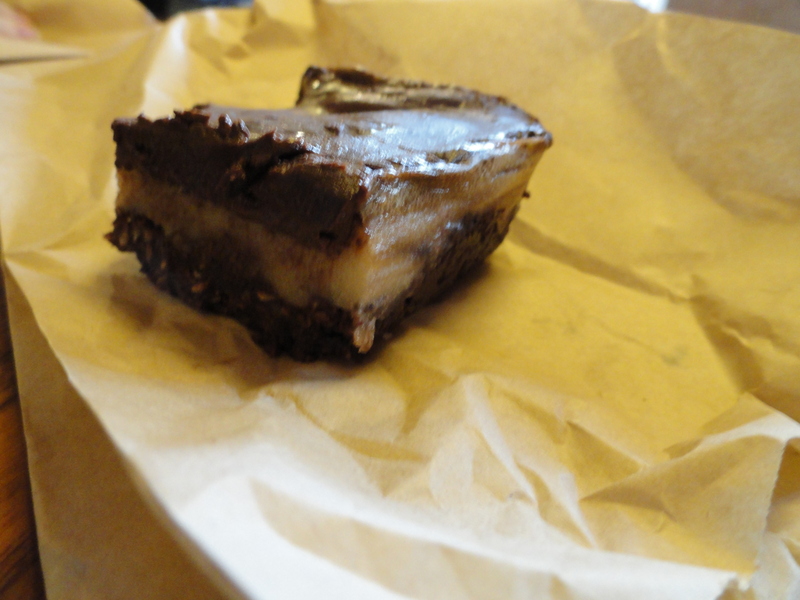 Bad Picture, Awesome Nanaimo Bar! I have been so impressed with the variety of food options available in Ottawa. 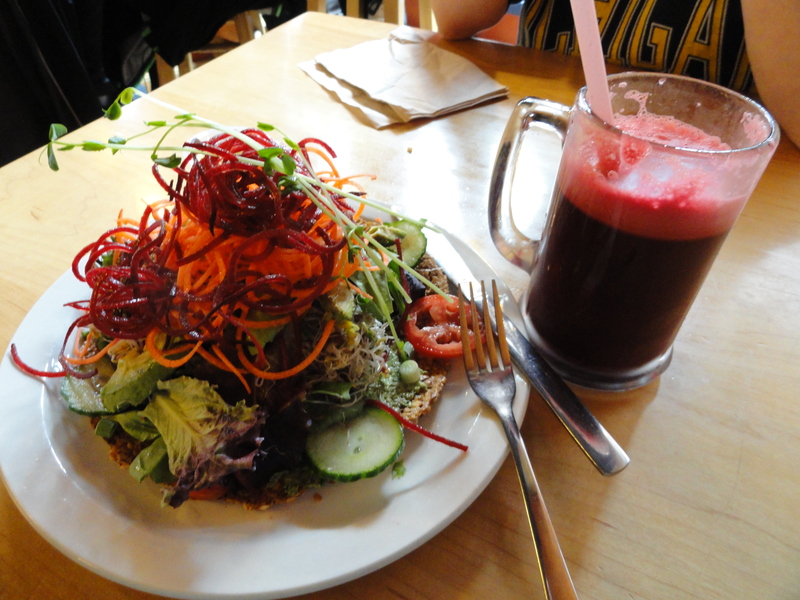 One of first places I went to is Wild Oat. Wild Oat is a bakery and restaurant in one! Sadly, they don’t seem to have any gluten-free breads, but they do have a lot of desserts, which is always awesome. Everytime I go, I always get a nanaimo bar. Yum! Another favourite of mine is their raw pizza. A cracker crust is topped with some sort of pesto, avacado, lettuce, spiralized veggies and a delicious dressing. This place is possibly my favourite place so far in Ottawa! Definitely check it out if you ever find yourself here.